Do I need to select web Site or Web project? I am completely new to .net framework. I have to build a website that contain real time updating graphs. I noticed that VS 2015 has 2 options. web site and web Application. Which one should I use for my project. Please guild me to select best option. IMHO Web Application all the way. And use the publish wizard to deploy. Web sites do not have a project file: everything in the project folder (and subfolders) is part of the project. This seems nice and easy until you want to be able to include/exclude things. It also assumes all the compilation is done on the web server (on the first load of each page). In practice in the medium to long term leads to work-arounds that would be unnecessary in a web application. Not the answer you're looking for? 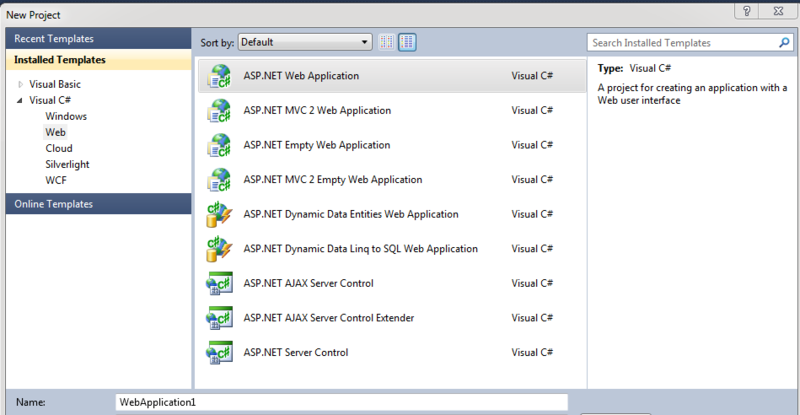 Browse other questions tagged asp.net sql-server visual-studio graph amcharts or ask your own question. Difference between website and web application in Visual Studio?